Everyday is a good day for Cupcakes! When it comes to baking, Harry is the champ at our house! I have an artistic edge that causes me to need the flexibility of tossing things together. Baking doesn’t work that way. We often make cupcakes for events and we love baking with our two grandchildren so we have lots of liners on hand. As with most things in the kitchen, storage is vital. 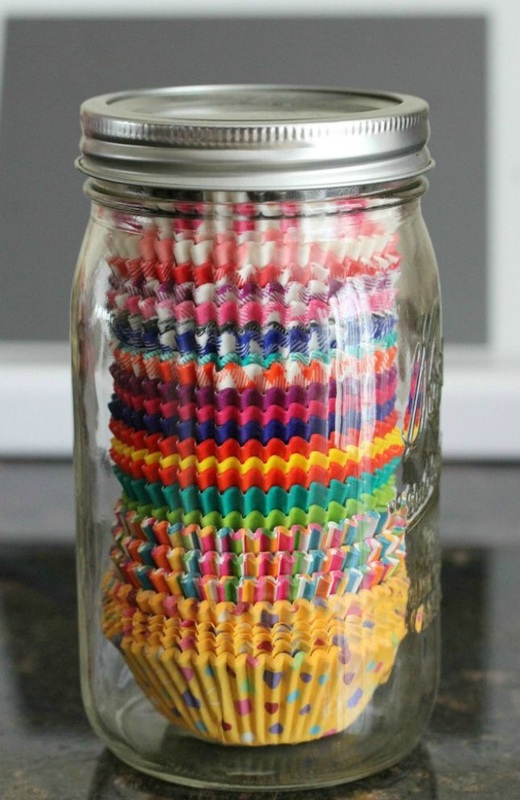 We find that using a mason jar to store the cupcake liners not only keeps them clean, but helps keep their shape! This image is courtesy Pinterest. Watch for more cooking tips and tricks on our TwoFoodNuts.ca blog and Facebook page!